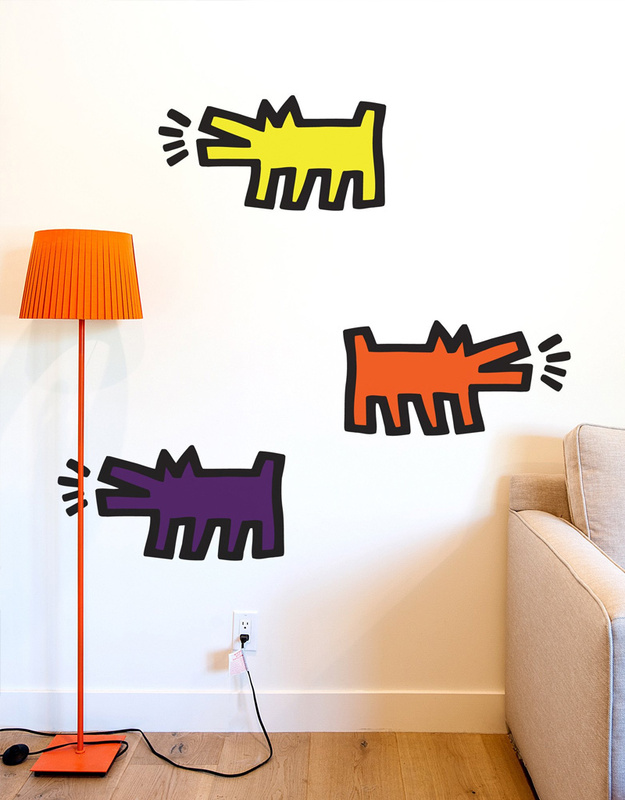 Touch-up your walls with this pack of 3 iconic Keith Haring colour Barking Dogs in XXL size. 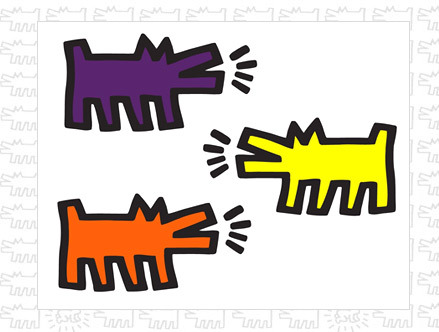 Originally created at the beginning of the 80's, these Dogs first appearing on the New York city subway's vacant advertising panels as chalk drawings. 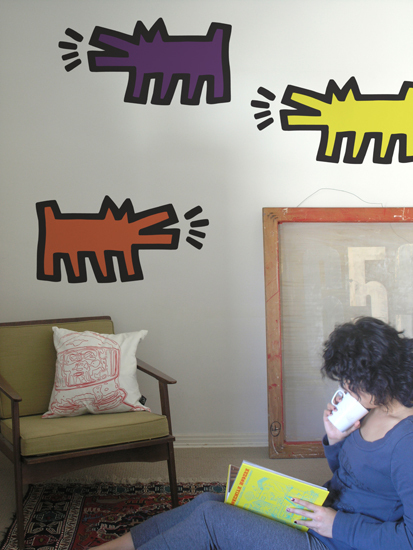 Over time, they became one of many Keith Haring signatures. 29.95 Stock: Special Order Only.